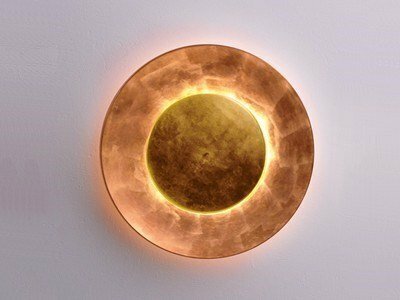 Lunaire is a wall lamp designed by Babin Ferreol for Fontana Arte. 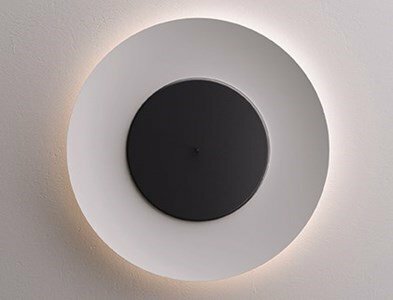 A wall and ceiling lamp with a surprising light effect, reminiscent of the phenomenon produced by eclipses. The smallest front disk has the light source, and is mounted in a large concave aluminum reflector. Different effects and environments are possible depending on how the smaller disk is positioned relative to the reflector. 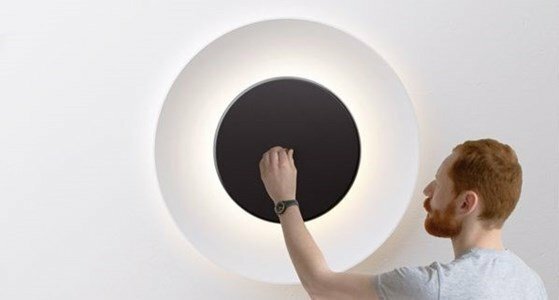 Can provide strong direct light or a soft indirect light that diffuses through the wall. Just pull or push the rod and immediately have different light effects. By its large size, Luminaire is the perfect lighting for large areas, whether at home or commercial spaces. The reflector and front disc are in aluminum. The diffuser is composed bytransparent methacrylate with sand blasting treatment.